Initially a Citroën, Renault and Peugeot specialist, AES York Ltd is a family-run business providing servicing, MOTs and repairs on all makes of vehicle in the York area. As well as offering reasonable prices, AES mechanics pride themselves on their knowledge and latest diagnostic equipment, often finding themselves able to fix cars where other garages may have struggled. 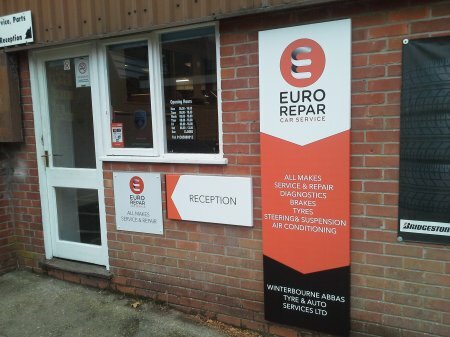 12 April 2019 WINTERBOURNE ABBAS AUTOS JOINS THE EURO REPAR CAR SERVICE NETWORK. Winterbourne Abbas Autos is proud to announce its partnership with the Euro Repar Car Service network. Winterbourne Abbas Autos are a family-run business known for their team’s can-do attitude and helpful approach to any job, large or small. From MOT testing to servicing, the technicians always ensure they go the extra mile with the latest diagnostic and repair equipment for all-makes of new and used vehicles, and even offer all of their customers a complimentary car wash service. 8 April 2019 INDUSTRY AUTO SERVICES LTD JOINS THE EURO REPAR CAR SERVICE NETWORK. Industry Auto Services Ltd is now operating as part of the Euro Repar Car Service network. 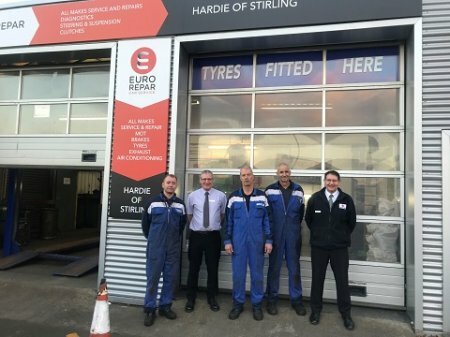 Hardie of Stirling is now operating as part of the Euro Repar Car Service network, providing competitively priced MOT testing, servicing and repairs with its friendly team of highly trained and experienced technicians. models. S&L Motor Vehicle Services is now an official member of the Euro Repar Car Service network. 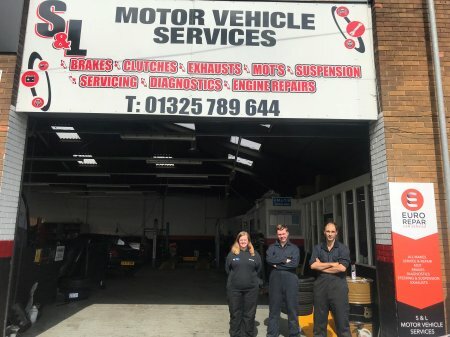 Based in Darlington, S&L Motor Vehicle Services is one of County Durham’s leading garages, offering servicing, MOTs and repairs at the highest levels of service. From a range of free safety checks to major repairs, S&L Motor Vehicle Services’ technicians are fully qualified and able to work on vehicles of all makes and models. Since opening their first garage in Durham in 1996, Croxdale Fast Fit Autocentres have been exceeding the expectations of their local customers for over two decades. Offering a full selection of maintenance and repair options, plus an easy online contact system, the group is widely known for its affordable prices and ability to add a personal touch to all vehicle services. The knowledgeable and experienced team strives to go the extra mile to meet customers’ needs. 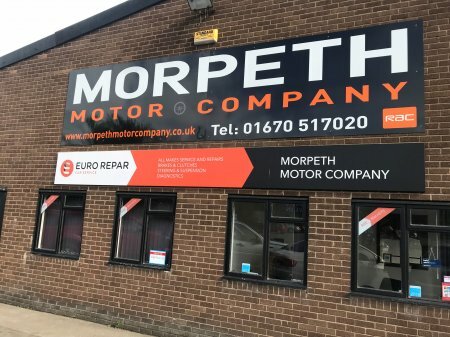 29 January 2019 MORPETH MOTOR COMPANY IS AN OFFICIAL MEMBER OF THE EURO REPAR CAR SERVICE NETWORK. Known for being Land Rover experts and 4x4 specialists, Morpeth Motor Company services all makes of cars. 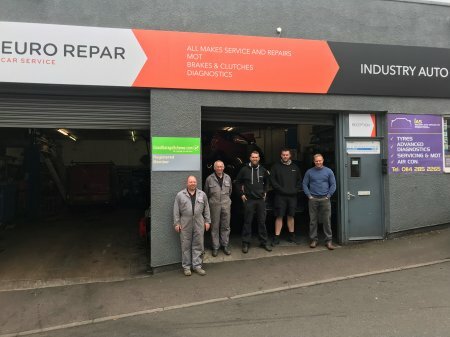 Running a fully equipped workshop, using the most up-to-date servicing and diagnostic equipment, Morpeth Motor Company believes the secret of their success lies in their policy of always listening to customers and explaining all the work the intend to do. 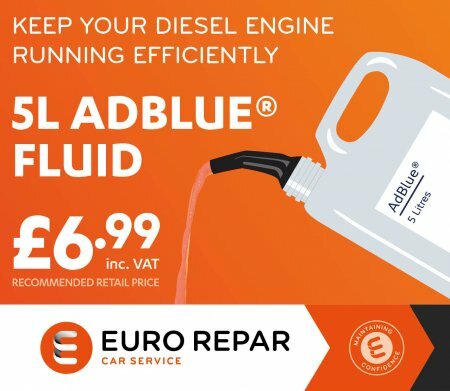 AdBlue® is becoming an essential consumable for vehicles meeting Euro 5 specification, or later, that are likely to need additional AdBlue® top-ups between services. To help make this a simple process, we’ve introduced a new easy-to-use 5-litre container that can be purchased at participating Euro Repar Car Service centres for just £6.99, including VAT. What’s more, our experts will be able to give you a step-by-step guide on how to use the container and advise when to top up. 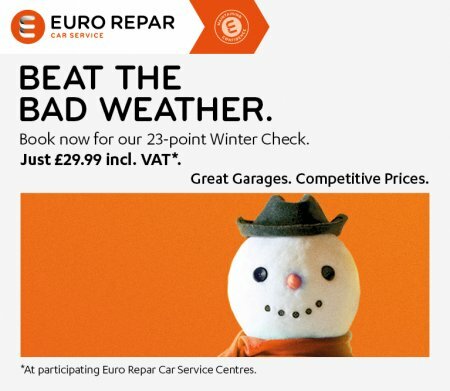 With winter on the way, make sure your car is prepared with a Winter Check at your local Euro Repar Car Service Centre*. Available from 30th November 2018, until 31st March 2019, for £29.99 (incl. VAT) you’ll get a 23-point vehicle health check and we’ll also include a Eurorepar Winter Pack that includes spray de-icer, ice scraper, LED torch, high visibility vest, microfibre cloth and protective gloves. That’ll make sure your car is ready for whatever the winter weather brings! 20 November 2018 RICHARDSONS CELEBRATES ITS PARTNERSHIP WITH THE EURO REPAR CAR SERVICE NETWORK. 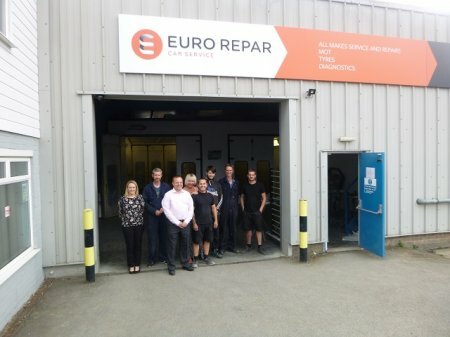 Richardsons, in Colchester, Essex, is delighted to operate as an official Euro Repar Car Service Centre. A family-run business established in 1966, Richardsons is the leading vehicle repair and service solution for the South East. Graham’s son Mark Richardson continues to support traditional values by investing and training in modern repair techniques, and he is proud to hold the approval of the RAC, AA and VBRA.